Landlords and companies have a duty of care to make sure that every appliance provided to tenants and staff is safe. 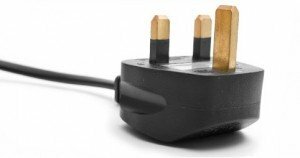 Portable Appliance Testing (PAT) is the examination of electrical appliances and equipment to ensure they are safe to use – basically anything with a plug on it! Our team will provide a certificate detailing what appliances have been tested. We cover Leeds, Bradford, Wakefield, Harrogate, York, Huddersfield, Halifax, Sheffield, Barnsley, Doncaster and surrounding areas. Prices are fixed at £55 + VAT up to 40 items. No – PAT is just appliance testing – basically anything with a plug on it. It doesn’t look at the actual wiring of a property or the fuse board. Whilst it isn’t a criminal offence to not carry out PAT Testing, a residential landlord would find it difficult to prove due diligence was followed if an incident occured, without a PAT Certificate in place. It falls under Health & Safety legislation. If a fire occurred or someone got hurt, a landlord may have to prove due diligence was met to avoid severe repercussions. Health & Safety law and Criminal law are often misunderstood. The Electrical Safety Council’s Guidance recommends Portable Appliance Testing to satisfy a Landlord’s obligation to ensure that any portable electrical appliances provided under the tenancy are safe at the point of letting, and at periodic intervals after that. Tenants should also be provided with instruction manuals and be told to read and follow them. PAT Testing Yorkshire – Domestic & Commercial. Call us for cheap PAT Testing.